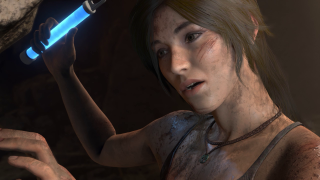 The 2013 Tomb Raider reboot is still one of the best looking, well-optimized PC games available, and its sequel, Rise of the Tomb Raider, follows in its footsteps. Hell, it looks even better, especially on a powerful rig and nice monitor. So, to celebrate gorgeous PC games, and to give folks a taste of what ancient ruins and their spelunkers can look like at 2560x1440, we turned up everything we could and grabbed some footage from a short segment at the very beginning of the game. Turns out, the game is pretty good too. I’m playing Rise of the Tomb Raider on a PC decked out with two 980 TIs, 16GB of RAM, and an Intel Core i7 6700K CPU, so, yeah, it runs pretty well. But I’m curious! Let us know your specs, and how it’s running in the comments.